Hey Troop Leaders! We’d like to take a moment to thank you for helping girls today become leaders of tomorrow. 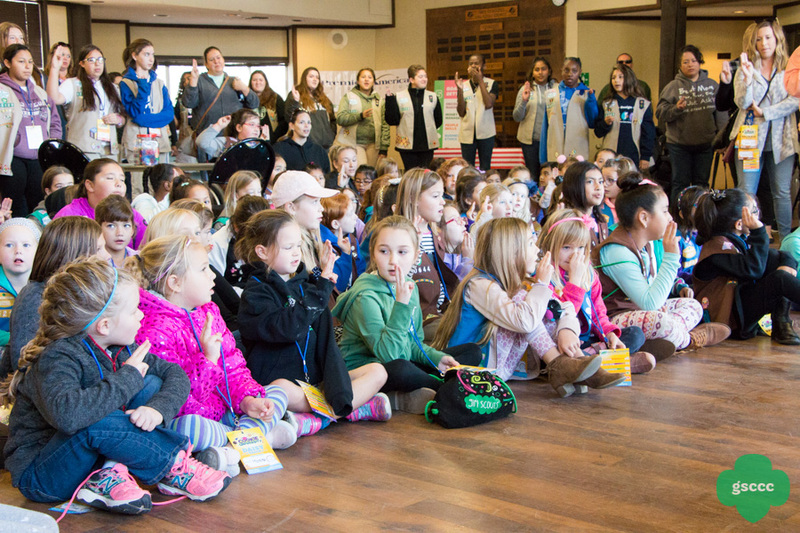 After a long summer, the new Girl Scout Membership Year officially started on October 1st. This means all whole new year of projects, activities, and possibilities lie ahead! Whether your troop has new or seasoned members, here are some ways to get the ball rolling and the girls feeling ready to go. Don’t forget to renewyour Girl Scout membership if you have not already! Even if your troop has primarily returning members, there may be some first day jitters that you and girls experience. Ease everyone into the new year with some of these tips! Set the Tone – The first meeting will set the rest of the year up for success, so make everyone feel welcome! Establish a connection by calling each girl by name, acknowledging their questions, and sharing your own experiences. Have Some Fun – Use a game or activity to get things in motion. Try out one of the icebreakers below to get the girls interacting with you and one another. Mix it Up – Cliques aren’t fun for anyone! Encourage girls to make new friends in the troop by assigning rotating buddies or pulling names out of a hat for group work. Ask the Girls – Check what the troop’s goals for the year are and create a game plan. Whether it be a trip they want to take or what type of community service project to do, girl involvement is the key to success. For activity and discussion inspiration, encourage them to visit the GSUSA website’s FOR GIRLS section. Ice breakers are a great way to get your girls engaged and participating, and to learn a new thing or two about your troop members. Try one of these fun activities to get started. Have the girls sit in a circle and pick one person to start the game. That person will smile their wildest, biggest, silliest smile at everyone else in the circle (while staying silent), trying to make them laugh. For every girl in the circle who laughs at their smile, they get one point. After smiling at everyone in the group, they ‘wipe’ the smile off their face with their hand and ‘pass’ the smile to the next girl in the circle. Have the girls sit in a circle and write down three statements about themselves. Two statements will be true and one will be false. Take turns having each girl present their statements, and vote on which statement the rest of the group thinks is false. Take a bag of M&Ms and tell everyone to grab a handful. Assign a different category to each color, such as blue = family, green = school, yellow = friends, red = pets, and so on. However many M&Ms a girl has in her hand is the number of facts they have to share about themselves. Have the girls form a circle, and one girl will start with a ball of yarn. Holding on to the end of the string, she will call out another girl’s name and toss the yarn to her. The girl who catches the ball will call out someone else’s name and toss the ball to her while holding on to part of the string. After creating a spider web with the string, ask one girl to pull on the string while everyone else holds on. How many girls can feel the tug? This is a great way to talk to your troop about the importance of group cooperation and an individual’s contribution to the whole team. 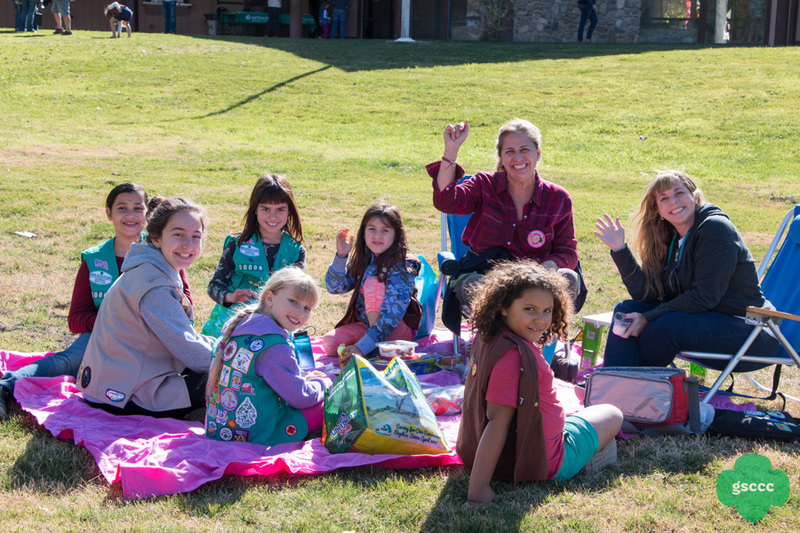 As a troop leader, you give girls the opportunity to discover new skills, connect with others locally and globally, and take action to make a difference in the world. Thank you for your generous commitment, we at GSCCC wish you a very successful Girl Scout year!